I cut a piece of nori seaweed and cut a ghost shape with a scissors. Then wrapped a rice ball with the seaweed. 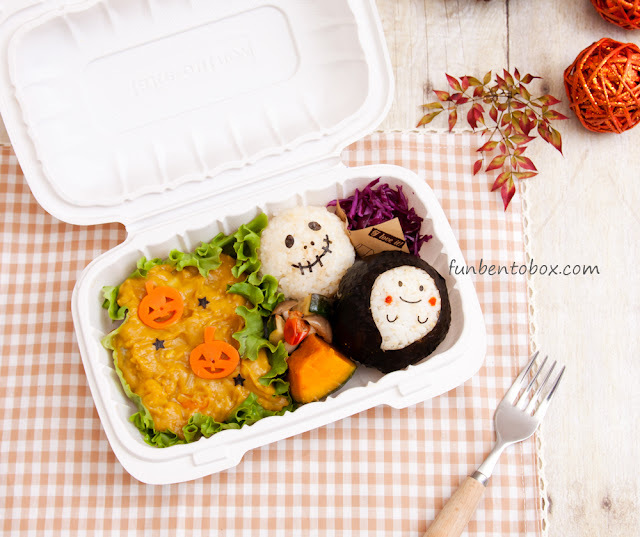 If you have some seaweed puncher, you can make this cute bento really easy and quick! Otherwise it might take some time to cut out the face parts. For the Jack O Lantern, I just cooked carrots in a microwave and carved by hands.